Geophysical Fluid Dynamics Laboratory will host a course to introduce users to the GFDL AM3 atmospheric model from July 16th to 20th, 2012, in Princeton NJ. Click to view a video of the stratosphere-troposphere transport of ozone. The Summer School on Atmospheric Modeling (SSAM-2012) will train users in the "art" of climate modeling -- what is normally not documented in papers nor taught in classes. The course will take students through all the steps involved in configuring, running, and analyzing results from GFDL's climate model running on parallel supercomputers and attached to large-scale data archives. The course will also provide an overview of the atmospheric model's (AM3) scientific formulation. The course is aimed principally at advanced graduate students, postdocs and research staff who have sufficient computational resources at their home institutions to perform climate experiments. Priority will be given to candidates from NOAA labs who will directly benefit from learning to use GFDL models, especially those who collaborate with GFDL. We will accept approximately 25 students for this course. General background in climate science is required. Knowledge of climate modeling or High Performance Computing is helpful but not necessary. Students are expected to bring their own laptops for use during the course. March 16, 2012. Acceptance will be confirmed by email, no later than April 6, 2012. NOTE: Students will NOT be given accounts on GFDL's High Performace Computer for use after the training. You must be able to demonstrate that you have other HPC resources available to you. Student travel and lodging expenses must be borne by their home institutions. GFDL will make campus housing at Princeton University and shuttle service to GFDL available to participants. Additional details about course location and logistics will be provided to applicants once they are accepted. 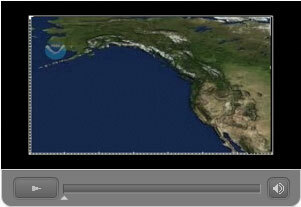 Click to view a video on the NOAA/GFDL CM3/AM3 climate model. The course will use the Flexible Modeling System (FMS) and the FMS Runtime Environment (FRE) as a basis for introducing students to the computational infrastructure of climate modeling, and to the complete modeling workflow (configuring, running and analysis). We will introduce the underlying technologies (parallel computing, modeling workflows) and their specific implementation within FMS and FRE. Lectures in the morning, to introduce aspects of the model dynamics and physics, will be followed by hands-on practice sessions in the afternoon each day. The middle of the day will feature "bridge" sessions, connecting the science to the software. 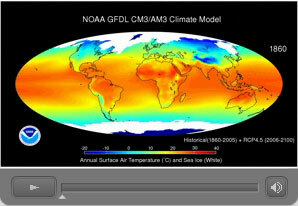 All modules will be taught by GFDL scientists and Modeling Services staff. See agenda with links to lectures here.